1. The proposed developer of a strip mall in East Oakland is asking the city council for an additional $8 million in tax subsidies — on top of the $6 million that the council already approved, the Chron$ reports. Sid Afshar of Sunfield Development says he needs the extra funds because he’s had difficulty attracting tenants to the proposed project at Foothill Boulevard and Seminary Avenue and because his anchor tenant, Walgreens, is demanding a 33 percent rent reduction. Walgreens issued the demand, he said, after the company withdrew its request for an exemption to Oakland’s living wage law. 2. A solid majority of state residents — 57 percent — say that California agriculture should be doing more to cut back on water use, including changing crops, the SacBee$ reports, citing a new Field Poll. 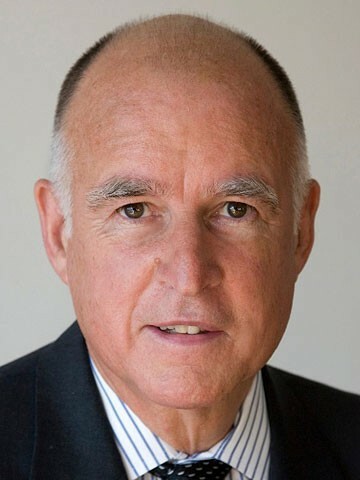 To date, Governor Jerry Brown has refused to mandate water cutbacks on agribusinesses, despite the fact that they use 80 percent of the available water in the state. Californians also said they support the governor’s 25-percent mandatory water rationing for residents, but expressed concern that they won’t be able to meet the requirement. 3. State regulators have identified at least 260 sites in which oil companies have been injecting fracking wastewater into the ground, perilously close to aquifers that could be used for drinking water in the drought, the Chron reports. To date, however, the state has only ordered the closure of 23 wastewater injection wells. 4. President Obama announced that he’s banning the transfer of some surplus military hardware to local police agencies, the LA Times$ reports. However, the president will still allow police agencies to acquire military-surplus riot gear, specialized firearms, and armored trucks with tires. 5. The Oakland and Richmond police departments have agreed to share key data, including “the racial breakdown of people stopped by officers, use-of-force statistics and citizen complaints,” with the federal government in an effort to improve police standards nationwide, the Trib$ reports. 6. And Berkeley’s new soda tax produced $116,000 in revenue its first month, and is projected to generate about $1.2 million a year for the city, the Trib$ reports.